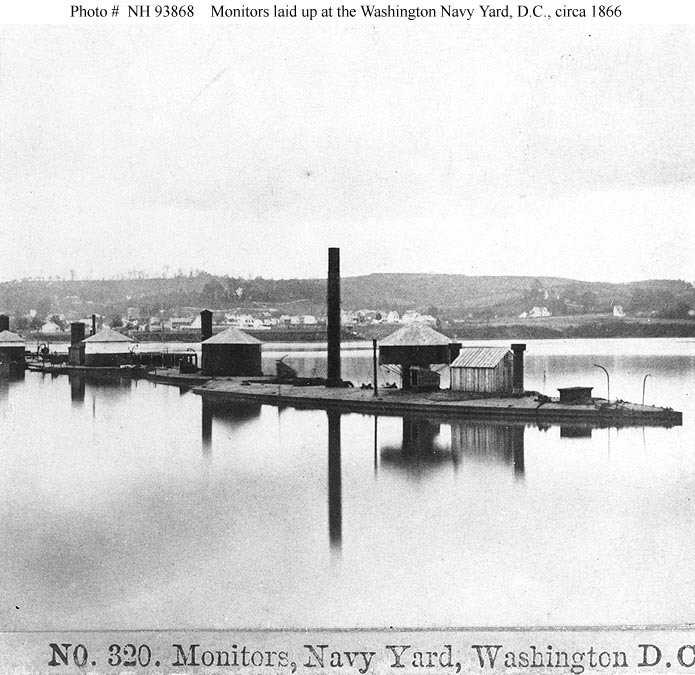 Operational and Building Data: The first Saugus, a single-turret monitor, was launched 1 August 1863 by Built by Harlan & Hollingsworth & Co, Wilmington, DE. 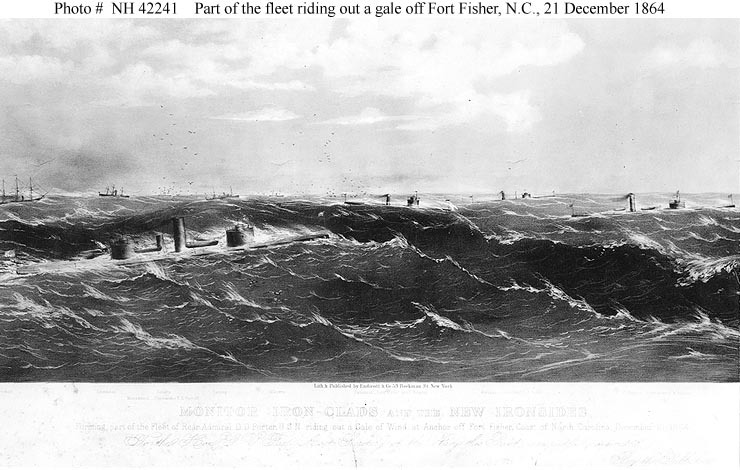 Contracted 13 October 1862, launched 16 December 1863, commissioned 7 April 1864. 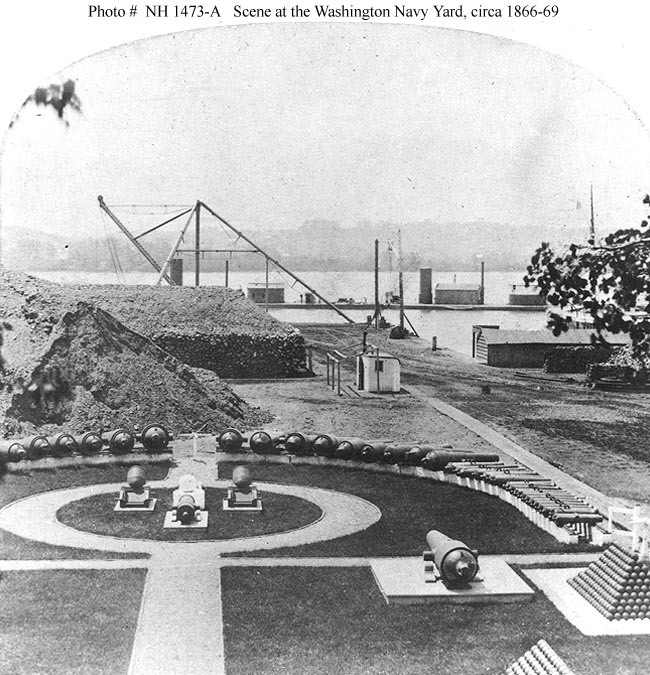 Decommissioned to reserve 13 June 1865. Recommissioned 30 April 1869 and operated along the Florida coast. 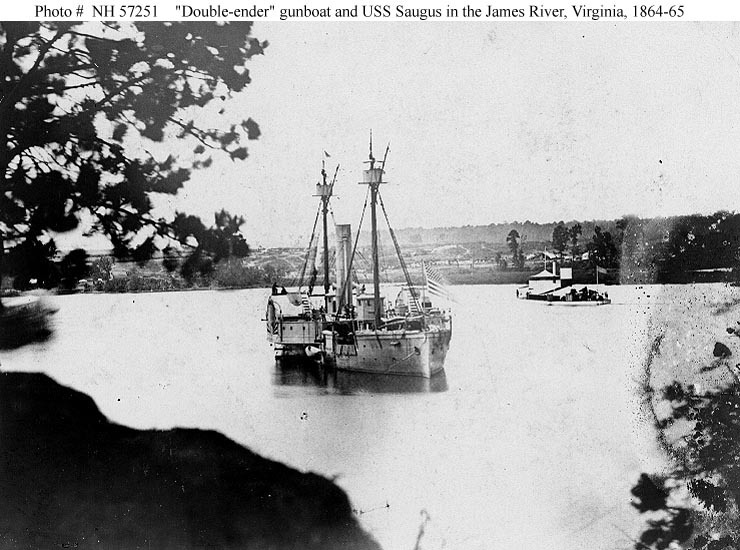 Renamed Centaur, 15 June 1869, then Saugus, 10 August 1869. Decommissioned to reserve 31 December 1870; recommissioned 9 November 1872; decommissioned to reserve 9 March 1874; recommissioned 10 October 1874; decommissioned to reserve 8 October 1877. Fate: Condemned 1886, sold for scrapping 25 May 1891. 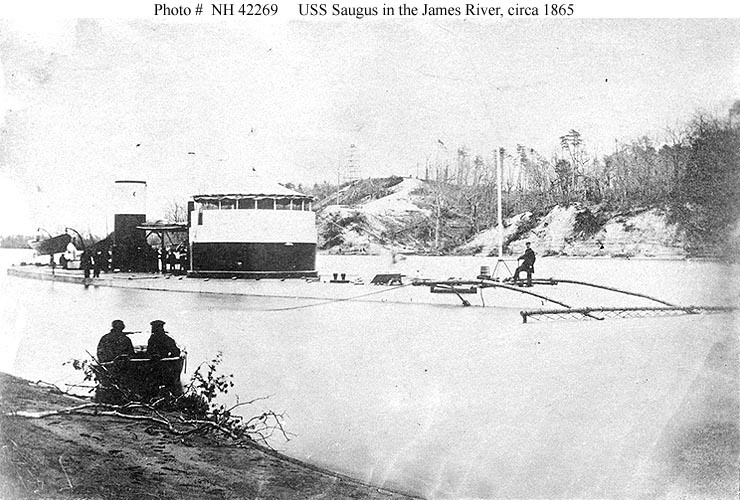 104k Saugus in Trent's Reach on the James River, Virginia, circa early 1865. Note the mine sweeping "rake" attached to her bow. U.S. Naval Historical Center Photograph # NH 42269. 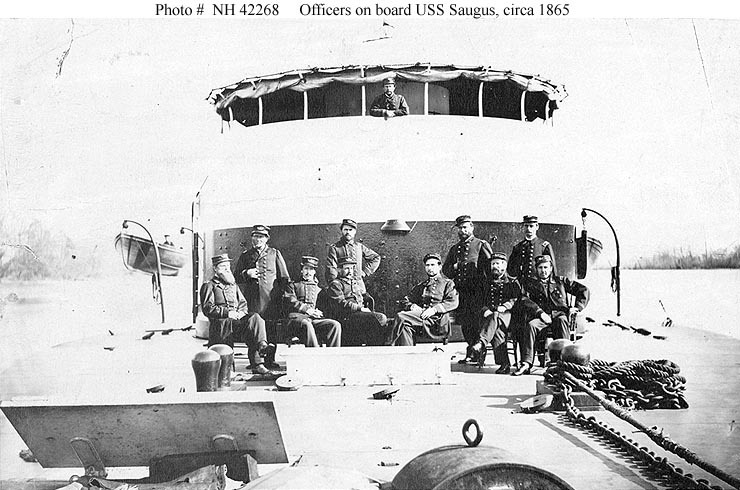 341k Officers pose on deck of the Saugus in front of the gun turret, probably while the ship was serving on the James River, Virginia, in early 1865. Note ship's bell and other details of the turret and deck fittings. The original negative is 111-B-5567 in the National Archives. Text courtesy of U.S. Naval Historical Center Photograph # NH 59442. Photo # HD-SN-99-01850 courtesy of dodmedia.osd.mil, Defense Visual Information Center. 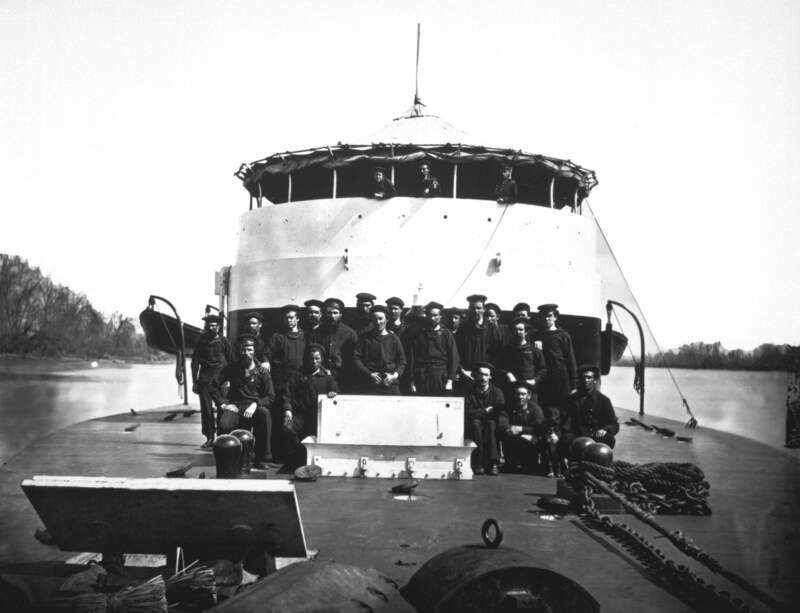 95k Officers pose on deck of the Saugus in front of the gun turret, probably while the ship was serving on the James River, Virginia, in early 1865. U.S. Naval Historical Center Photograph # NH 42268. 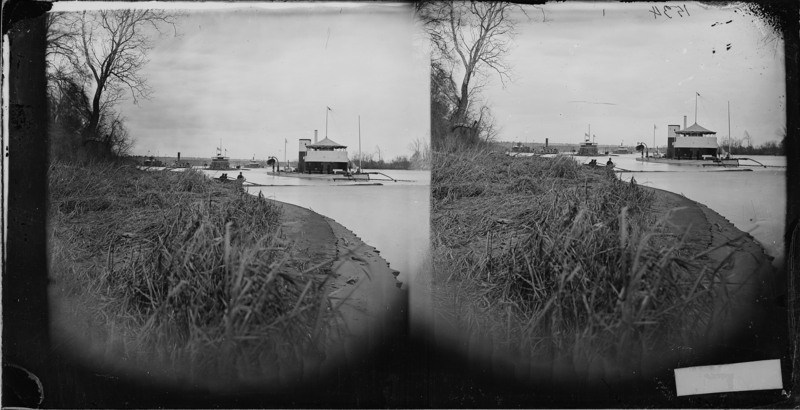 99k A "Double-Ender" gunboat in the James River, Virginia, 1864-65. Originally identified as Agawam(1864-1867), this ship differs from her in detail. 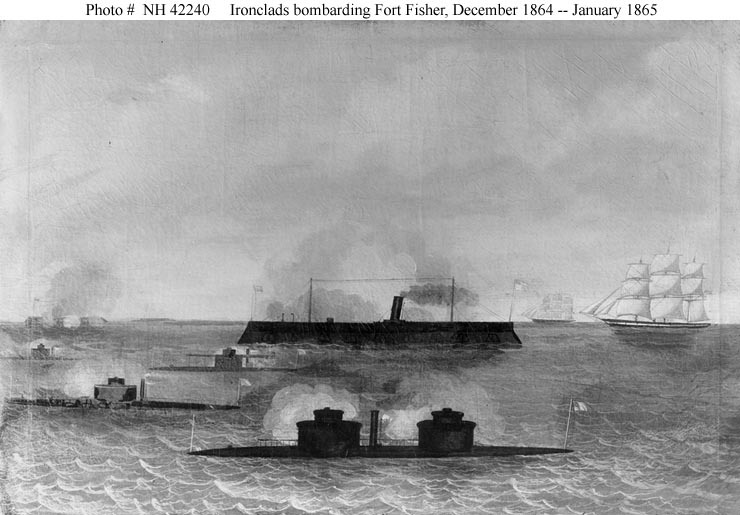 It has been identified in published sources as Mackinaw,(1864-1867). The monitor in the right background is Saugus. U.S. Naval Historical Center Photograph # NH 57251. 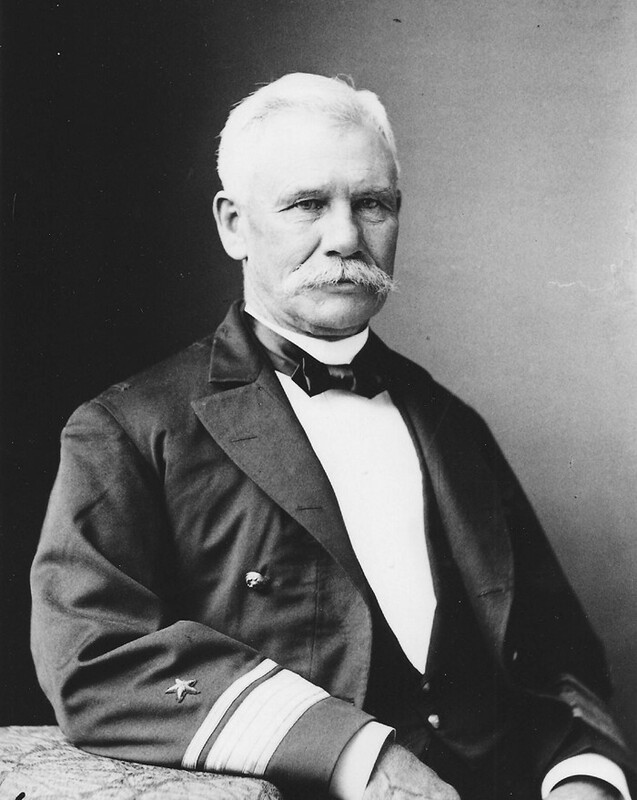 133k Commander Andrew Ellicott Kennedy Benham commanded the Saugus in the early 1870�s. Photo from the Library of Congress via Bill Gonyo. 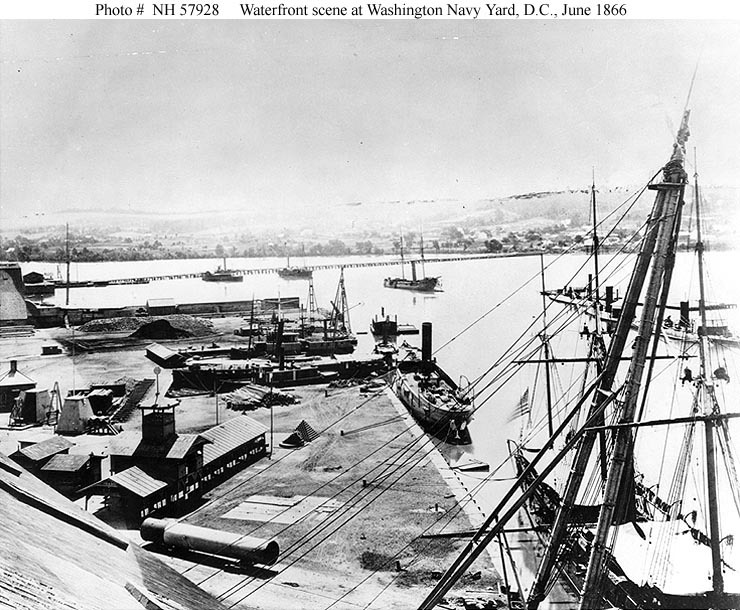 42k Saugus layed-up in reserve at the Washington Navy Yard, date unknown. 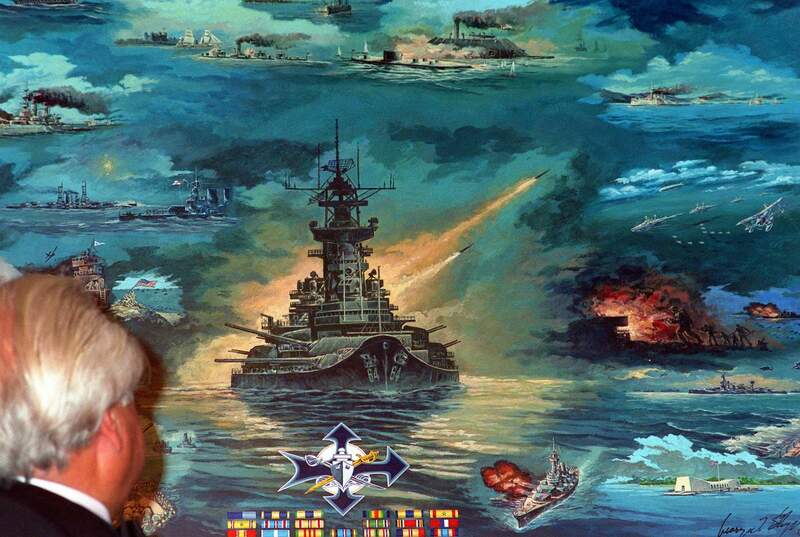 USN photo from "Warship Boneyards," by Kit and Carolyn Bonner & submitted by Robert Hurst.